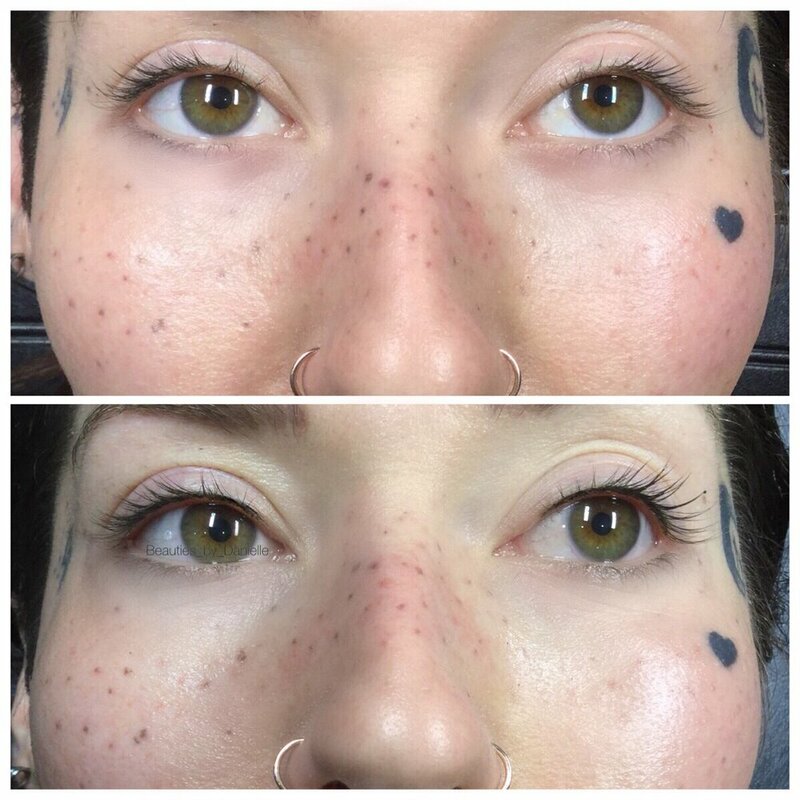 We get many questions about what the difference is between a lash line enhancement and a cosmetic eyeliner. A lash Line Enhancement is a thin line that sits at the root of your lashes and gives the illusion of a fuller lash line. When your eye is shut there is minimal trace of the eyeliner as there is with a typical cosmetic eyeliner. This technique may not replace the look of a fuller eyeliner, but for most, will give just enough at the base of your lashes to where women feel eyeliner is not needed. Though the end results are subtle, they are just as permanent as a typical cosmetic eyeliner. Yay for waking up without having to do your makeup! Q: What do I need to know prior to booking a lash line enhancement appointment. A: No lash lifts, lash tints, lash extensions or growth serums for 6 weeks prior to your scheduled appointment. Q: What is the healing for a lash Line Enhancement? A: Keep area clean and free of makeup for about five days. Minimal swelling. No mascara for 7 days, at that time you will need to use a brand new tube of mascara. Q: When can I use a lash serum or get lash extensions? A: 5-6 weeks after your appointment. At this time you will be completely healed and can pick back up on normal routines. Q: Can I get the line thicker? A: Yes we can do it a little thicker but will not do cat eyes or anything that we feel will not wear well with time. You can always add makeup to your permanent cosmetic, but you can’t take it away!